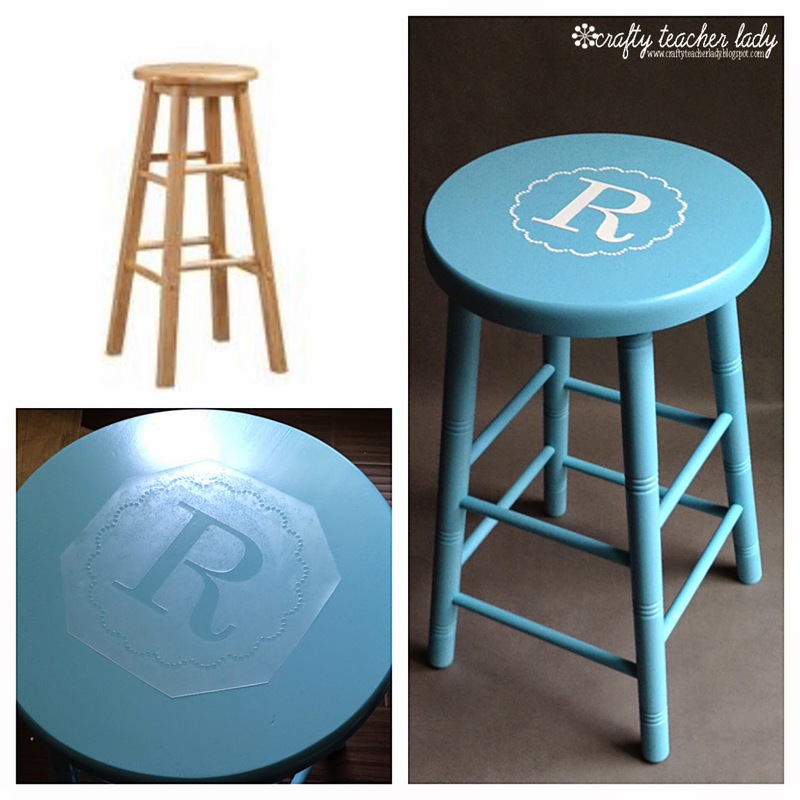 All summer I searched yard sales for an inexpensive stool that I could give a little makeover for use in my classroom. I found a basic oak wood stool for $3 (I didn't take a 'before' picture so the picture above left is basically what it looked like before it was painted)! 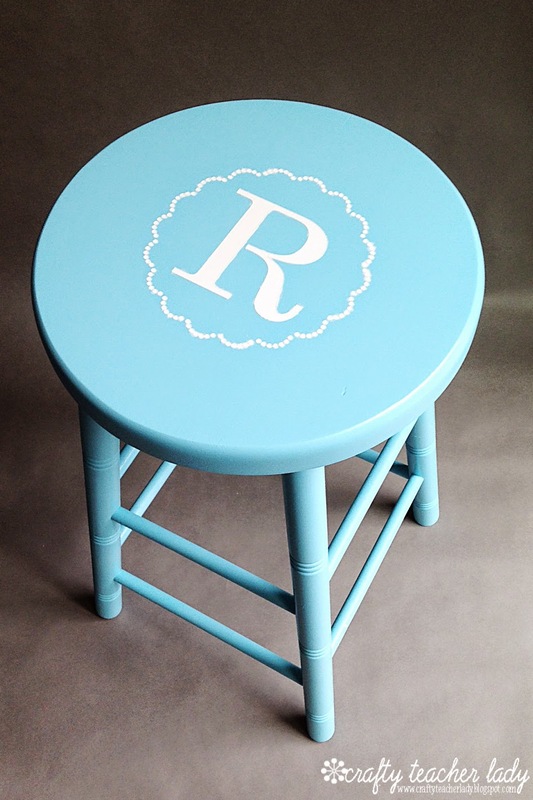 After two coats of aqua blue spray paint, I decided I wanted to make the stool a bit more personalized by adding an initial stencil! I used Silhouette Stencil Material and my Portrait cutting machine to cut out the stencil pattern (the pattern is 'circle scalloped' by Lori Whitlock which can be found in the Silhouette Online Store layered with a letter 'R'). 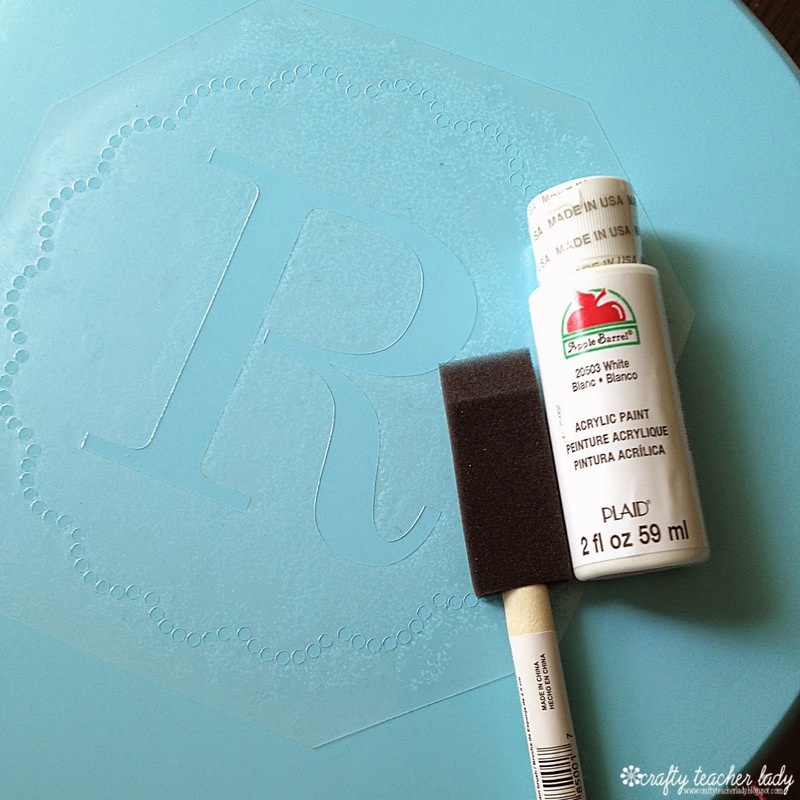 After painting the stencil with white acrylic craft paint, I sprayed a couple layers of Mod Podge clear acrylic sealer on top to ensure my design stays put! 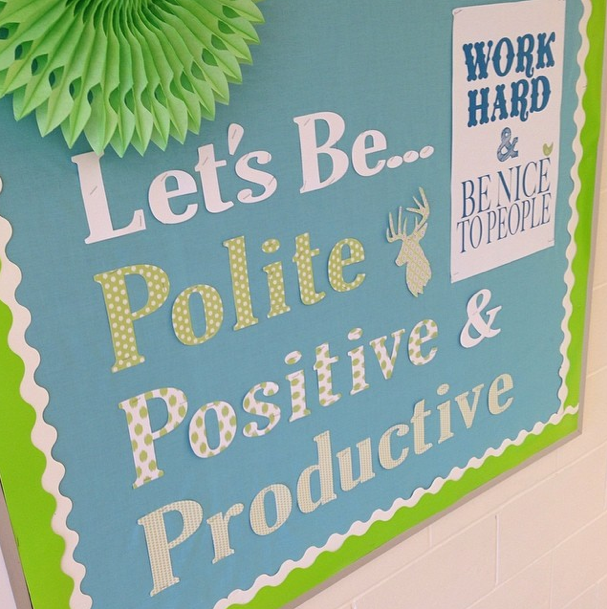 I love how it turned out and the fact that it is both functional and will add some whimsy and color to my classroom space! 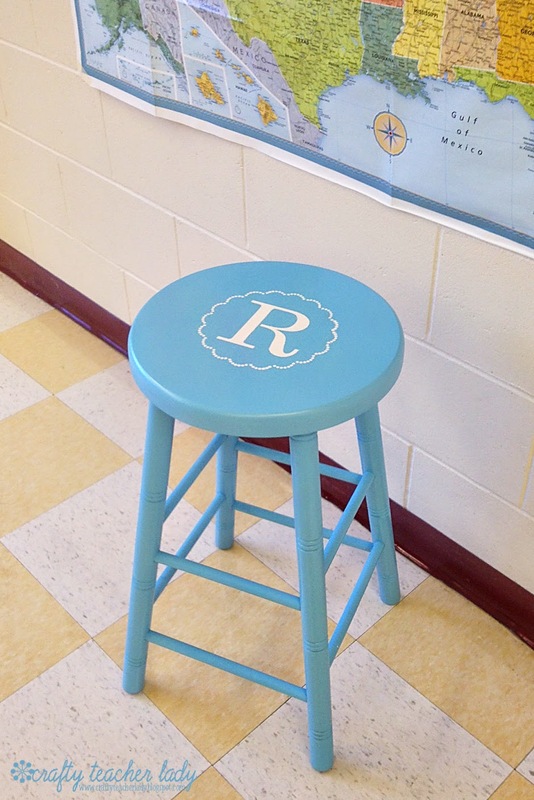 This would be an awesome and inexpensive gift that any teacher would LOVE! 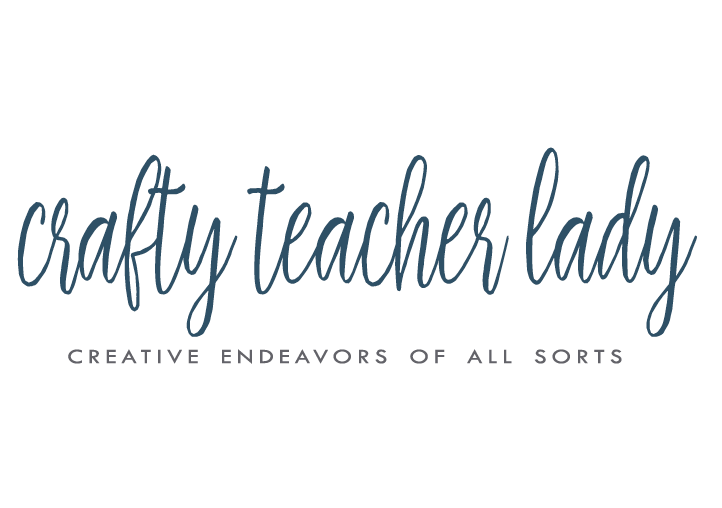 My next post will be a tour of my classroom with lots of inexpensive and easy ideas for classroom decor (secondary teachers can spice up their classrooms, too)! Have a great week! 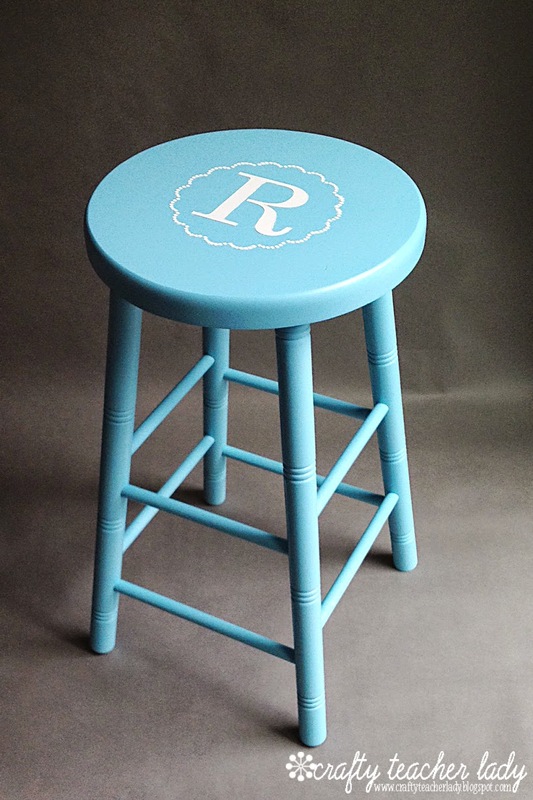 Very cute stool and idea! !